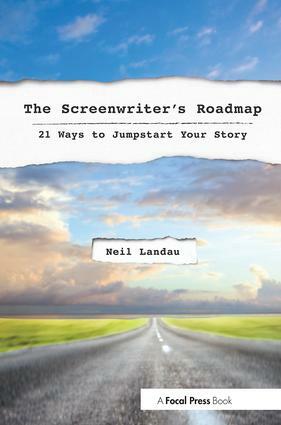 Neil Landau is the author of 101 Things I Learned in Film School (Grand Central Publishing, 2010). Neil's numerous TV and movie screenwriting credits include the cult hit "Don't Tell Mom the Babysitter's Dead? (1991, and slated for remake by the Mark Gordon Company); the forthcoming 3D animated feature? "Tad Jones? (from El Toro Pictures/Warner Bros., 2012). His new screenplay is being developed for Goldmann Pictures ("300?). Landau is also Executive Producing "The Last Days of Superman? (NOT a superhero movie) for Menshikov Films (2011). His TV credits include the original "Melrose Place" (1997), "The Magnificent Seven" (1998), "Doogie Howser, M.D." (1990), "The Secret World of Alex Mack" (1994), "Twice in a Lifetime? (2001), and MTV's "Undressed? (1999), plus TV pilots for CBS, ABC, Lifetime, and Freemantle. As a Script Consultant, Neil worked for Sony Pictures (2005-2008), and most recently for El Toro Pictures on "Lope? (Warner Bros., 2010) and "Bruc? (Universal, 2010). He served as Vice-President of Scripted Development for Amedia Film Group in Moscow, Russia (2007-08). He currently teaches in the MFA in Screenwriting and Producing Programs at both UCLA School of Film & Television and USC School of Cinematic Arts, and is a faculty advisor in the MFA in Writing Program at Goddard College. Neil graduated from UCLA's School of Film & Television, B.A., 1985.